First up, my favorite section from the 1988 Francis Bacon documentary, Francis Bacon. As of the of this post, the entire documentary can be seen here. And second, here's a classic Dave Brubeck performance from 1961. There are many other clips of the quartet's performances of "Take Five" from that time which are, if you consider the WHOLE performance, arguably superior (this one, for example), but Joe Morello's drum solo is the single greatest argument for posting the one below instead. 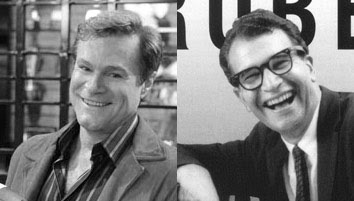 Separated at birth: An Officer And A Gentleman co-star David Keith and Dave Brubeck?